Easy readers are a great way to work on beginning reading skills. 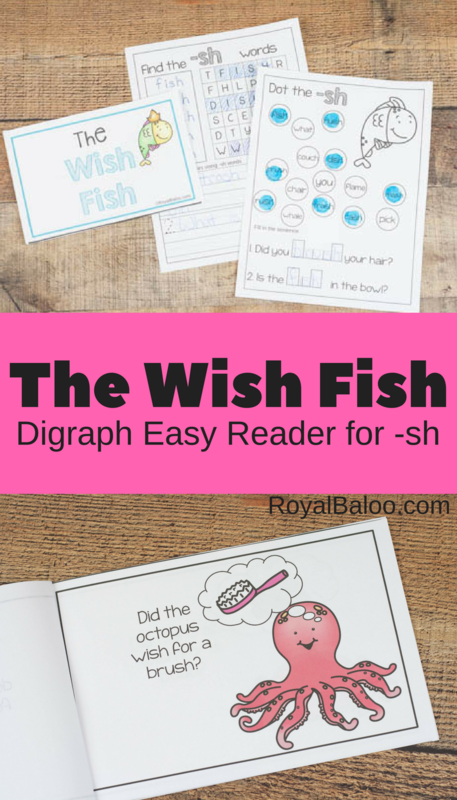 This ocean easy reader is great for practicing the digraph sh.We are working really hard on reading skills, even through the summer, and these easy reader books make a huge difference. My kids love them and they are so simple! Plus, the little bit of silliness keeps them coming back again and again for more practice. It is the last day of Ocean week! Make sure to check back for all the freebies from myself, Cassie at 3DInosaurs.com and Deidre from JDaniel4sMom. 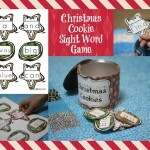 I enjoy using easy readers to cover words that are similar – like digraphs, word families, and the like. 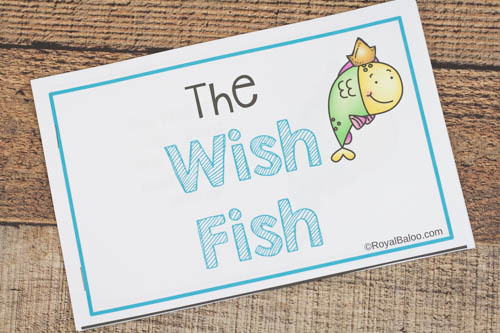 With a limited amount of words, it’s easy to make them quite silly and my kids enjoy silly. We use these are repetition. If they are learning something I will try to make a matching book. 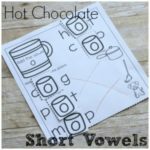 They love having something of their own and I love that they will practice reading it over and over! I swear sometimes they don’t even see how it’s related to their lessons. So I am not very intentional with the books. I will give them to Logi-Bear (or sometimes Royal) and just say “Oh, take a look at this”. Or I’ll just leave it somewhere they might find it. Either way, they almost always end up reading it without prodding from me. This one is kind of random with each ocean animal wishing for something difference. My favorite is the shark at the end that wishes for a fish. There are two matching worksheets to go with the easy reader. These are meant to enhance the booklets and provide extra practice. The first one involves dotting words that end with -sh. It includes many of the words from the booklet. The bottom part includes filling in two of the -sh words to finish the sentence. 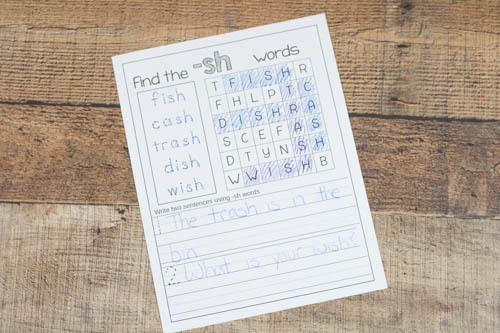 The second worksheet is a word search and sentence making. My kids love the word searches so I have to include them.